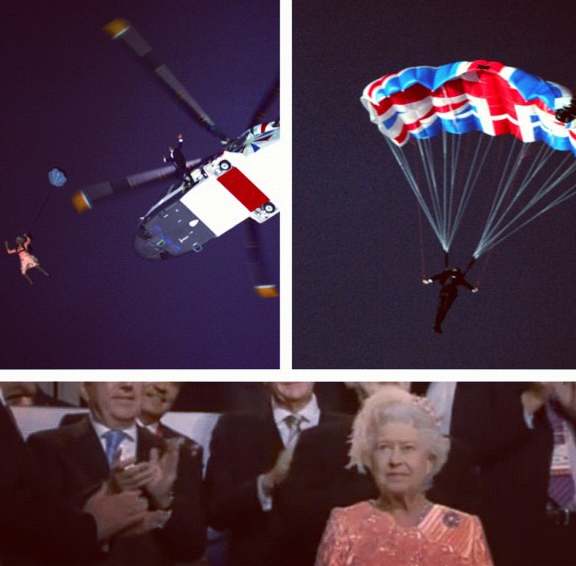 The opening of the 2012 Olympic Games in London brought on may opinions, and here is my take on the grand event. 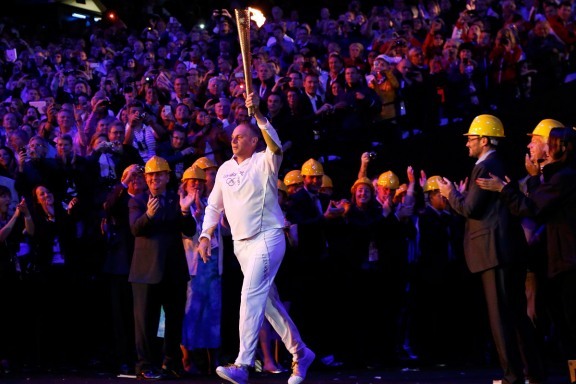 I thought it filled with imagination, the history of London Town, the brilliance of so many talented people, the dedication of over 1,000 volunteers, but most of all the true spirit of the Olympic Games in creating a oneness of purpose and spirit of people from around the world. A place where only the desire to win and to share being alive as people on one planet supersedes everything else. Opening event producer Danny Boyle did a fantastic job, as did Her Royal Highness Queen Elizabeth II in displaying her amazing sense of humor to participate in the cheeky James Bond inspired entrance created by Boyle, flowed by a formal welcome and opening of the games by Her Royal Highness. Big Ben rang for three minutes for the first time since King George VI�s funeral in 1952, and the forging of the ring of fire that provided a full audience experience to the senses. This was magnificent! The spectacular opening appearances and performances included the ringing of a huge gold bell forged for the occasion by cyclist Cavendish, an army of floating Mary Poppins look-a-likes, an outstanding Symphony presentation of the theme from award winning film �Chariot�s of Fire�, which included a hilarious performance by actor Atkinson (aka) Mr. Bean, a tribute to British doctors and health care for children, a variety of characters from great English writers, including a short introduction by J.K.Rowlings of Harry Potter fame, David Beckham ushered in the evening by transporting the lighted torch to the event on a speedboat, the torch was carried into the stadium by Gold Medalists Steve Redgrave, and the lighting of the torch performed by a group of outstanding young athletes. 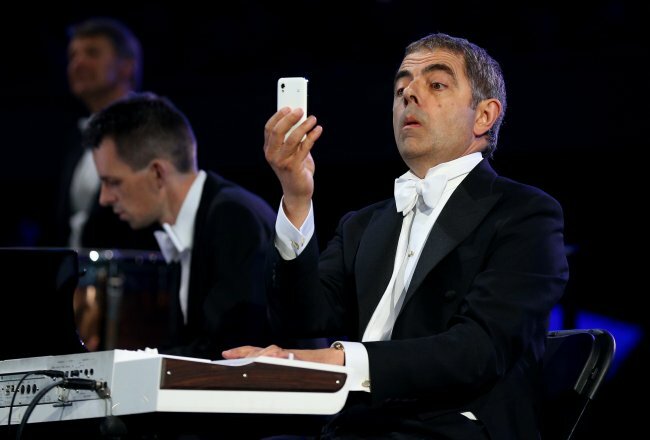 The program was a fascinating journey from London�s early beginnings through the industrial revolution to today�s social networking and advanced technology advancements. The parade of the Athlete�s was spectacular and as always a great thrill to watch. 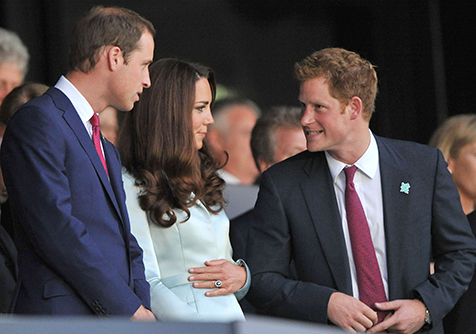 Kudos to the TV camera people who were able to get close up shots of HRH Queen Elizabeth II, and Royal Family Members William, Kate and Harry during the extravaganza; viewers got the feeling they were at a party with them, and that�s a great fete. Everyone is looking forward to the upcoming days of events, and thank you to NBC, who did a great job televising the memorable opening day and evening spectacular. 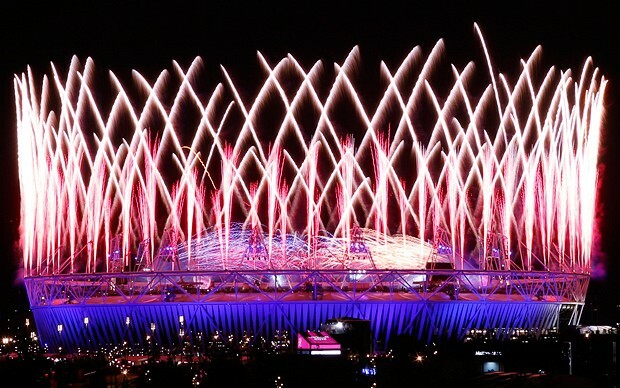 Congratulations and thank you to The Royal Family, and all of London on a job well done, and for what looks to be an outstanding and brilliant Olympic Games in London! Wouldn�t you like to sip a bit of Prosecco on the highest terrace with the best view of Rome while watching the sunset??? Well we have a few secrets for terrace lovers. The Bettoja Hotels have two splendid rooftop patios with extraordinary views; one on the Nord Nuova Roma, via Amendola and on Hotel Mediterraneo, Via Cavour. They have become favorite oases for guests during the summer months. Cool breezy escapes from the Roman city bustle. �La Terrazza�, Mediterraneo roof top retreat is one of the highest points in Rome with views that expand from St. Mary Major to St. Peters. On a clear day, you can see the Roman Apennines in the distance. Its retractable canvas roof makes it available and comfortable all year. While pointing out the many monuments, we suggest you order a class of Prosecco or a Bettoja Belini. And be sure to make a reservation for lunch or dinner. The menu is classic Italian with choices including Ravioli with porcini mushrooms and tiny tomato or Tagliolini pasta with smoked salmon Shrimps and zucchini sauce. And if you are not hungry enough for a full meal you can order a simple Caprese salad or Parma ham Panini. In the summer there may be music that lures guests for a late night cap. And just around the corner on top of the Nord Hotel, there is �La Limonaia�, a charming roof terrace overlooking the Baths of Diocletian. Its name derives from the blooming lemon plants decorating the tiled patio. Here again is a perfect place to take in the ancient view, sip a refreshing drink and enjoy the subtle hint of lemon scent in the air. It does�nt have a full menu but is the perfect place for a light snack: pizza or panini. Terraces have also been used for weddings and parties. Their locations make splendid backdrops and the food and service are known as top; notch. 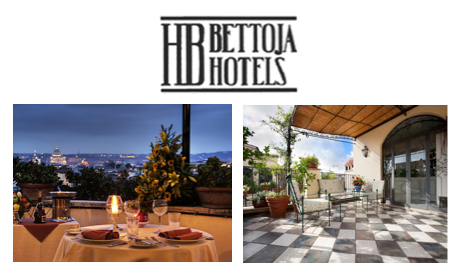 The Bettoja Hotels, family owned and managed properties, have 4 hotels in center Rome. They are known for their service, spacious rooms, high ceilings, excellent food, 2 roof top bar/restaurants with fabulous views, 24 concierge service fitness rooms, quads and more. All the hotels (Mediterraneo, Atlantico, Massimo D�Azeglio and Nord) are centrally located, three on Via Cavour on Esquiline Hill, the highest of the Seven Hills of Rome, easy walking distance to the Coliseum Opera House, Piazza Republica, Via Veneto, Spanish Steps and the termini. If traveling by train these convenient hotels are wonderful. They are comfortable, clean and work well for busy tourists on the move. The great mid-summer party on the most romantic terrace of the Adriatic Riviera! The yearly appointment with the Italian summer celebration party is on August 15th. On the backdrop of the famous Liberty fa�ade, the beautiful terrace of the Grand Hotel Rimini will welcome all the guests in a romantic atmosphere, under a starry sky. The Gala dinner dance will start at 20.00 with the Grand Aperitif in the garden, and will be followed at 21.00 by the Grand Regal Buffet created by the chef Claudio Di Bernardo and his brigade. A great variety of flavours and colours from the land and the sea will be served with the most prestigious wines as suggested by our sommeli�re. Stefano Serafini's Amarcord Band will play the best songs and melodies of all times, a wide selection of listening and dancing music. Catalina is kicking up the heat this summer and early fall, with a variety of rousing events that will mark visitors� stay on this Island paradise as one of their best-ever. Just getting to Catalina is an easy pleasure aboard Catalina Express, 800-429-4601 on any of its regularly scheduled boats. Booking a Paradiso Package at the Hotel Villa Portofino also offers guests an attractively priced option that includes overnight accommodations, boat transportation from San Pedro, Long Beach or Dana Point, taxi transfers and continental breakfast. Visit Hotel Villa Portofino or call (888) 510-0555/(310) 510-0555 for more information. status during the 1950s, 60s and 70s. Tickets for the concert are now on sale at www.tix.com. The Catalina Island Women�s Forum (CIWF) 17th Annual Wine Festival, Saturday, September 15, 2012, 2:00pm to 5:00pm, will feature over 70 wineries, delectable hors d�oeuvres, a silent auction and live music. Net proceeds support charitable programs operated by the CIWF. Tickets are available at the Chamber of Commerce (310) 510-1520, Catalina Chamber of Commerce, or can be purchased online at CIWF. The 54th Annual Catalina Festival of Art and Kids Art Show, Friday to Sunday, September 21-23, 2012, is a must for art lovers, when artists from all over the country exhibit along Crescent Avenue and sell their works of fine art and crafts, sculpture, and photography. Catalina Art Association. (310) 510-2788.